Doctor Dark is playing at Cafe 9 New Haven, CT. on Tuesday July 3. Mr. Berry's Pub in Long Island, New York on July 14. Years ago he recorded a historical document and now Co de Kloet will present The Supplement Tape live on stage at Zappanale 2012. He will be supported by very special guests as George Duke, Gary Lucas and Scott Thunes. This will be history, this will be hot! Don't miss it!!! Safe money and buy your tickets in the presale which soon will be closed !!! Next month, Phish will be releasing a new album: "Chicago '94". This 6 CD-box will contain both live shows from Chicago 1994 (1994/06/18 and 1994/11/25). And this will be a box for both Phishheads and Zappa-freaks to enjoy, as Phish performed Frank Zappa's 'Peaches En Regalia' at the June show. MoonJune Records has just re-released the second album by Copernicus. Copernicus is a performance poet, declaiming his thoughts and ideas to the world. All in search for the absolute truth. 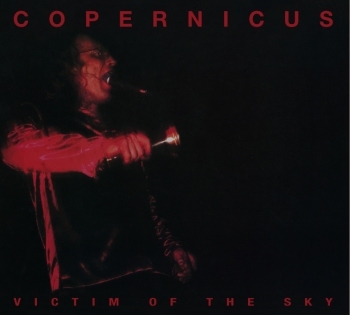 "Victim Of The Sky" (or of The Universe if you listen to Copernicus) got released on vinyl in 1986. Compared to his more recent releases where Copernicus dives into the quantumworld, "Victim Of The Sky" might be considered more accesible. Copernicus' lyrics are more down-to-earth and the music gets a more prominent place. I like this. I like the way that Copernicus looks at the world. From an angle that noone else could imagine. Marshall Allen, Director of the Sun Ra Arkestra offers a musical blessing at Uncool 2012, Poschiavo Switzerland. They used to do it on a regular basis, but it has been a while since Phish performed Zappa's 'Peaches En Regalia' in concert. 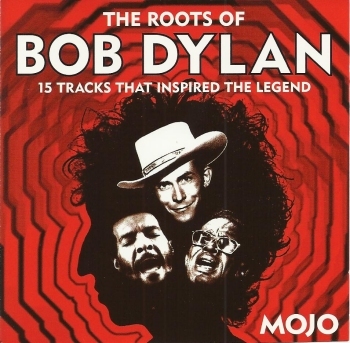 Released as a bonus disc with the September 2006 issue of Mojo Magazine, "The Roots Of Bob Dylan" presents some classic blues and gospel tunes. and The Highway Q.C. 's with 'Somthing On My Mind', which is not on the album, but just sounds great. For his latest project, French flutist and composer Joce Mienniel assambled three trios. These trios included musicians from different musical backgrounds. Each trio performed four pieces of music and one of these was performed by each trio. Joce Mienniel's choice of musicians was excellent and the compositions that he picked are just great. I could name a few, but I prefer to give the entire list. It was Zappa's 'Big Swifty' that made me want to check out this recording. It was the perfect bait to find an impressive album. 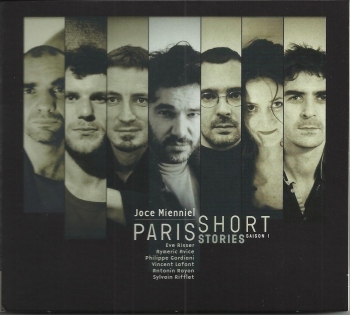 On "Paris Short Stories Saison 1", Joce Mienniel and his fellow musicians use a modern and experimental approach to give a personal view upon a number of beautiful compositions. The Archaea Strings ensemble has a classical setting: three violins, a cello and a contrabass. The quintet performs Frank Zappa's 'Alien Orifice' on their "In Bilico" album. It's the first track on the CD. The ensemble has Damiano Puliti on the cello. A name that you might remember from the Harmonia Ensemble. His 'Frank Lesson', a Zappa tribute that's on the "Harmonia Plays Zappa" album, is also performed by Archaea Strings. And the ensemble recorded a composition by his Harmonia-colleague Orio Odori as well. 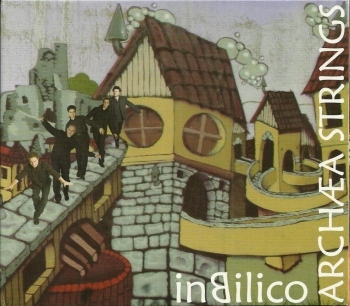 "In Bilico" offers en ensemble playing and mixing rock, jazz and classical music. Nice. I love their rendition of 'Alien Orifice' and it's great to hear Damiano Puliti's 'Frank Lesson' by the string quintet. I would have liked a link to their fine version of 'Eleanor Rigby', but 'Rock Reel' and 'Frank Lesson' will give you an impression of what they sound like. 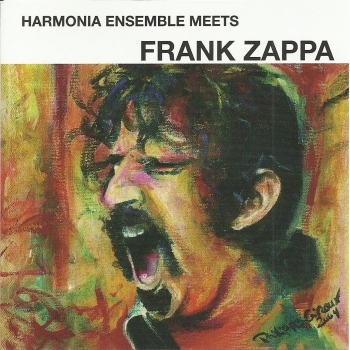 The Italian Harmonia Ensemble released their "Harmonia Meets Zappa" album in 1992. The album got released by Materiali Sonori, the same label that also published the remarkable "Sonora 4/94" magazine: a Frank Zappa special that came with a beautiful CD of renditions of Zappa pieces and tributes by various Italian musicians. The "Harmonia Meets Zappa" CD quickly sold out and got re-released in 2002 with two extra tracks. Shortly after the ensemble's memorable Zappanale concert in 2007, the album got a second re-release. This time, with a slightly diffent title, plus a different album cover: a "Chunga's Revenge" painting by Philippe Giroux. The music on the album is a mix of Zappa-inspired pieces by Damiano Puliti and by Orio Odori, and of beautifully arranged Zappa pieces. This album belongs in every Zappa collection, next to The Ensemble Ambrosius, The Ed Palermo Big Band and LeBocal. The below live fragments will tell you why. La Friture Moderne is a French marching band. They play in the streets. 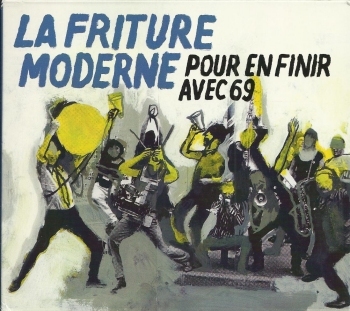 I don't know if La Friture Moderne released more than one record, but "Pour En Finir Avec 69" sure is fun. The band plays music by Pharoah Sanders, Jimi Hendrix, Janis Joplin, Pink Floyd, Carla Bley, King Crimson, Albert Marcoeur and Frank Zappa !! Today's required dose of madness comes from Mörglbl. Christophe Godin on guitar, Ivan Rougny on bass, and Aurélien Ouzoulias on drums. Not only does the trio display some of the most incredible musical skills, they play some excellent compositions. "Brütal Römance" is the band's fifth album. It sounds great. It makes you wonder how they do it. And it's very funny as well. Here's Christophe warming up, performing 'Gnocchis On The Block', the first track from "Brütal Römance". Former Zappa keyboard, sax, french horn player and vocalist Robert Martin will be special guest at Zappanale 2012. The last couple of years, we have seen him performing keyboards and saxophone, and we've heard him sing some of our favourite tunes. This time, Robert promised to bring his French horn !! Tohpati has a new album out. It's his second one on the Moonjune Records label and it's called "Riot". I like what Tohpati does. I think his work with simakDIALOG is very impressive and I value his solo projects even more. "Riot" sounds quite different compared to Tohpati's previous solo release, "Save The Planet" (MoonJune, 2010). The album kicks off with a rather sharp sounding 'Upload', an eight-minute, powerful, almost aggressive track. Impressive. 'I Feel Great', the second track on the disc, has a funky rhythm, but still has the same energy-level. I love the parts that are played in unison by the guitar, bass and drums. The title track, 'Riot', continues in the same vain: a heavy guitar attack, complex rhythms and great solo lines. 'Middle East' is one of my favourite tracks on "Riot". Instrumental, guitar orientated progressive rock at its best. Track number six, 'Pay Attention', takes you for a fusion ride. The assertive playing that you get in the first three tracks has made room for a warmer sound. The speed and the energy level, however, are still top. 'Pay Attention' also has a great bass solo by Indro Hardjodikoro. With 'Rock Camp', the trio takes a side road: bluesy licks & rock vamps, but if I had to pick one track, it would be 'Absurd'. Beautiful lines by the trio, pushing the boundaries of melody & rhythm. This is great. Next up are 'Disco Robot' and 'Lost In Space'. 'Lost In Space' lowers the tempo and delivers a beautiful melodic ballad. 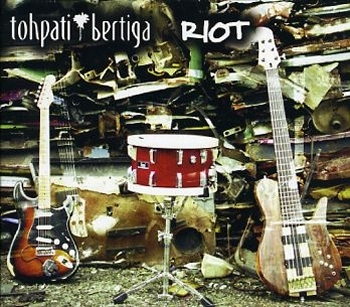 "Riot" ends with 'Bertiga', not only the name of the track but also of the trio. A perfect visiting card. On "Riot", Tohpati mixes rock, jazz and fusion. It is an impressive album. Summer Greetings! It's officially here...I hope June has been great for you. I'm recently back from a very cool, 2-month tour in the USA and Canada with the one and only Greg Lake (King Crimson/ELP). We head back out (Europe/Mideast) in November/December. Right now I'm getting some rest (kind of) and recording & playing a LOT of music locally. I'm rehearsing with three projects and planning two others, plus also doing some music-biz work from home, all here in the amazing mountains of Asheville NC. I'm also up North to do play at THE SAINT in Asbury Park NJ on Monday June 25 , and also record a CD with Mike Haleta in Red Bank NJ. I'll be doing a couple SONGS...original, and covers..and some instrumental music, some acoustic, some electronic soundscapes. I'll be joined by my old buddy and musical cohort since 1983 Bob Ramos. We'll also be joined by good friends Jon Francis & Mike Haleta , who will do sets before and after me. I'll be doing a 1/2 hour set at 10:00pm of electronic, synth-based music as part of a very cool series that goes on every couple months here in Baltimore. 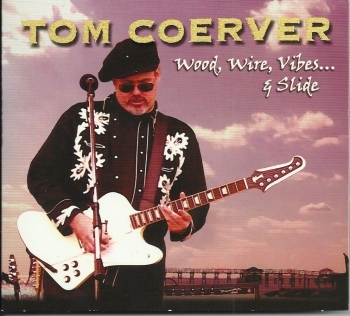 Tom Coerver recorded Frank Zappa's 'Zoot Allures' on his self-released 2010 "Wood, Wire, Vibes... & Slide" album. The album starts out rather bluesy with some fine original tracks and covers of Lynard Skynyrd, ZZ Top, The Rolling Stones and The Allman Brothers. Towards the second part, the album gets more of a rock feeling with an excellent Jan Hammer piece, 'Red & Orange Stratus', Zappa's 'Zoot Allures', Gov't Mule's 'Monkey Hill' and the self-penned 'Timeshift'. Adding data to the United Mutations Archives, here's the info on the brand-new to be released King Crimson album. A two-dvd audio and video set of the double trio (including Adrian Belew), recorded in concert in 1994 in Argentina. Should be out next month. The Spanish Hall Of Fame Records label has released four new titles. Leonardo Pavkovik and his MoonJune Records label are doing it again. They just keep amazing me. 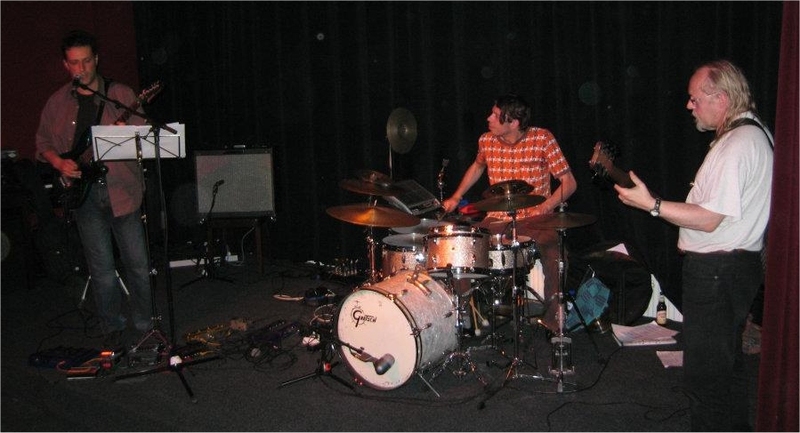 Belgian band Sh.tg.n was founded by keyboardist Antoine Guenet in February 2009. At first, the band consisted of Antoine Guenet on keyboards, Wim Segers on vibraphone, Dries Geusens on bass and Simon Segers on drums. Shortly before their first gig, guitarist Yannick De Pauw joined the ranks. Later, Fulco Ottervanger stepped in on vocals. I was fortunate to see Antoine Guenet as a part of Michel Delville's Wrong Object recently when the band played in Liège and in Ghent. It was good to see how his input added extra colours to one of my favourite bands. It sure made me curious for the Sh.tg.n album. Sh.tg.n blends experimental rock and jazz. The compositions on this debut release are great. Surprising tempo changes are mixed with loads of energy and power. I'm a big fan of progressive and avant-garde rock and of expermintal jazz and "Sh.tg.n" has it all. Think Zappa, think unpredictable, think high-energy, think Sh.tg.n. The name does indeed fit the beautiful package. Sometimes my search for bands that perform the music of Zappa, Beefheart or The Residents brings me some beautiful discoveries. 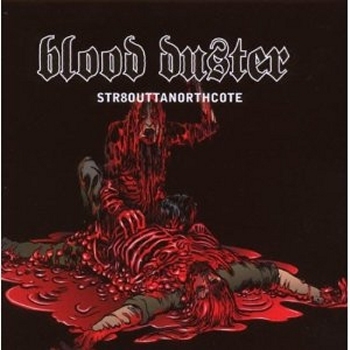 Blood Duster released Frank Zappa's 'Tell Me You Love Me' as a bonus track on the re-release of their Str8outtanorthcote" album, in 2008. Recorded live in concert. 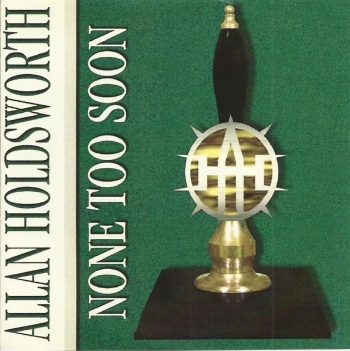 On "None To Soon", Allan Holdsworth interpretes a number of jazz classics (Coltrane, Django Rheinhardt, Bill Evans and Joe Henderson), and Irving Berlin tune, two compositions by British jazz pianist Gordon Beck, and a classic Lennon / McCartney pop song. In the liner notes, Allan Holdsworth says that it's his close friend Gordon Beck who convinced him at the time to make 'an album that people might be able to releate to'. Most of the pieces were picked and arranged by Gordon Beck. Allan admits that he wasn't familiar with all of the tunes, but that his approach to playing and to soloing was the same as on his previous albums. The result is astonishing. This is not just an album of coverversions. Each and every song gets the Allan Holdsworth treatment: it's like the complete song structure got teared apart, and got build up again. The arrangements are great and the soloing is superb. The album got released in 1996, but has been out of print for quite a while. Moonjune re-released this gem earlier this month, together with "Hard Hat Area". The Mike Keneally Band is preparing to perform at the NEARfest festival on June 24. Mike's new album "Wing Beat Fantatstic" is finished. It will be available for pre-order soon. Release date is July 24. And Mike will be touring with Dethklok and with Joe Satriani the next couple of months as well. There's never a dull moment at the United Mutations headquarters. Yesterday, I enjoyed the dEUS concert on OP 12, a new Belgian national tv station, and started my Saturday with "Following Sea" in my headphones. All of the tracks were recorded at the same time as "Keep You Close". These are not leftovers, just tracks that didn't fit the "Keep You Close" album. I like "Following Sea". I like the distinct dEUS sound and there's a couple of great tunes on this disc. Let Tom Barman walk you through it !! It's in English, but unfortunately it doesn't carry music samples. And here's the new single. In a couple of minutes, dEUS will be presenting their new album, live at the club69 at studiobrussel. Return To Forever reformed in 2010. For this latest line-up, Chick Corea, Stanley Clarke and Lenny White were joined by Jean-Luc Ponty and Frank Gambale. And they have released a new album: "The Mothership Returns": 2 CD's + 1 DVD, recorded in 2011. Many people consider "Hard Hat Area" their favourite Allan Holdsworth album. Initially, the album got released by Polydor Records in Japan in 1993. Shortly thereafter, it got picked up by Fred Bloggs Music (UK), and by Restless Records (USA). Allan Holdsworth has been involved in many different projects (Nucleus, Soft Machine, Jean-Luc Ponty, U.K. with Eddie Jobson, ...), and he has made a nice batch of solo album (some with Chad Wackerman on drums) but for me, "Hard Hat Area" shows what Allan Holdsworth is all about. Smooth, legato yet unpredictable melodic lines performed on a guitar synthesizer. Jazz fusion at its best. The thing that makes "Hard Hat Area" stand out, is the great band (Allan Holdsworth - Steve Hunt - Skulli Sverrisson - Gary Husband) and the beautiful compositions. This is the kind of music that will absorb you completely. I love it. The album has been re-mastered and re-issued by Moonjune Records. It was made available earlier this month. 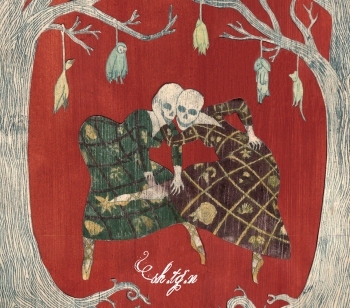 November 19, 2012, ZpZ will be performing at the 'AB' in Brussels, Belgium. SNAT! The ZappaCast takes you all the way back, boys and girls...back to the 1960s with the peaceful and loving Mothers Of Invention. You'll hear two concerts from 1967 (Lund and Copenhagen) in their (as far as we know) entirety. Professor Ekers gives you some serious info on FZ's Gibson Switchmaster guitar in his Zappa's Gear spot, while the good Reverend Greenaway has a brisk selection of rare '60s allsorts for ya. Didja Get Any Onya? Ugly Radio Rebellion will be performing the music of Frank Zappa on 2012/06/15 at 'Gottrocks' in Greenville, SC, usa. Earlier today, I read that the two May Blitz albums will be re-issued in a paper sleeve CD edition. May Blitz were formed in England during the early part of 1969. Tony Newman ex Jeff Beck Group actually formed the band recruiting James Black & Reid Hudson. Black and Hudson were Canadians from Victoria, British Columbia who pioneered Canadian West Coast music prior to moving to England. The band played extensively on the UK college circuit in 1969 before signing to Vertigo. Their debut album 'May Blitz' in 1970 was heavy and featured a grotesque cartoon cover. The first album sold moderately and a follow up 'The 2nd Of May' was recorded in 1971. Unfortunately despite being an excellent album full of heavy original numbers the album flopped. The band were dropped by Vertigo shortly after. June 29, 2012, Corrie van Binsbergen will host the last Brokkenavond of the season. At 'Zaal 100' in Amsterdam, NL. A.K.KLOSOWSKI & PYROLATOR – What made you so no-good? "Here is the work made by a friendly team of "benevoles". It's very important to know that this clip is the result of a common desire to create it and it's born with the help of all this energys. In this clip we benefited of a castle (the Château de la Madeleine). L'Atelier de l'Hermine Blanche has crafted 70 bespoke costumes for the purposes of the film. A small technical team but skilled; a make-up artist, photographers, actors and a lot of outsiders who helped us to carry out this crazy project both in its content and in its ambitions." 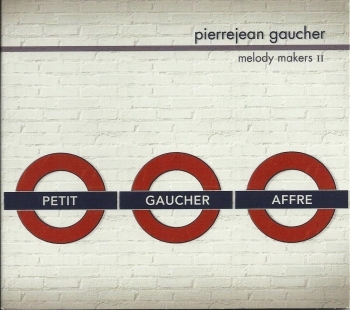 Searching for a new sound, a new project, Pierrejean Gaucher brought us "Melody Makers" in 2009, an album that he made with Clément Petit and Cédric Affre. The trio performed classic pop tunes in jazzy arrangements. The combination of a jazz guitar, a cello and drums was quite remarkable. And now there's the sequel: "Melody Makers II". This time, the album consists of original compositions, inspired by various pop tunes. The biggest difference, however, is that the compositions were co-written by Pierrejean Gaucher and Clément Petit. On the bonus video that you find on the album, Pierrejean explains that his mind had to shift from working in a Zappa-way (total control) to a more Lennon/McCartney-approach (co-writing). He adds that the writing process is more demanding, but that the results are compositions that are richer, stronger and more innovative. The result sounds great. The trio has a sound of its own. There's a link to the pop melodies, you get the jazz arrangements and jazz guitar solos, all in balance with the lyrical and powerful sound of the cello. Add the drums to keep it tight and you get "Melody Makers II". The biggest surprise is track number 5, 'Sleep Sweet' is Pierrejean's imaginary continuation of Frank Zappa's 'Sleep Dirt'. A beautiful tribute ! Here's the first five minutes of the 15-minute video that's included on the album. It'll give you a good idea of what it sounds like. French rock band Doc Daïl lived a short life: from 1969 until 1971, releasing only 3 singles. It gets more interesting when you click on the below link: you get a picture of Frank Zappa jamming with Doc Daïl. The Brecker Brothers' "Live In Tokyo" DVD presents a broadcast from Japanese TV. It includes 'Slang', 'Spherical', 'Harpoon', 'Song For Barry' and 'Some Skunk Funk'. Former Zappa-drummer Vinnie Colaiuta plays the drums on the latest Dominic Miller album, "5th House". Mads Tolling first met Jean-Luc Ponty during a master class that Jean-Luc did at the Berkeley College of Music. One year later, Jean-Luc Ponty recommended Mads to bassist Stanley Clarke and Mads ended up touring with Stanley Clarke for eight years. 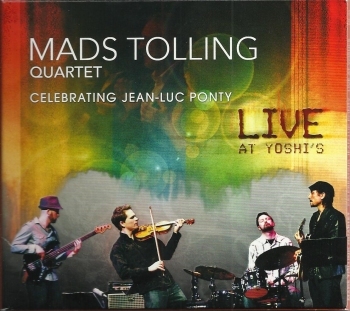 In the liner notes of "Live At Yoshi's", Mads acknowledges Jean-Luc Ponty as one of his heroes and he made a fine selection for this tribute. 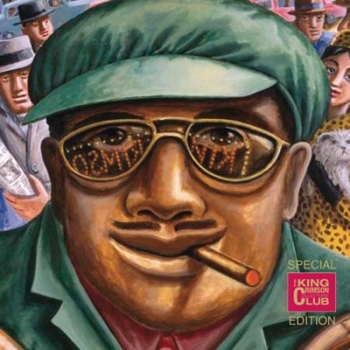 Pieces by John McLaughlin, Stanley Clarke, Cannonball Adderley, Jean-Luc Ponty, Frank Zappa's 'King Kong', and the excellent 'Pontyfication', written by Mads himself. Great tunes, stunning performances (Mike Abraham on the guitar !! ), and all recorded live in concert. It's a 1970's fusion feast. Salah Ragab formed the first jazz big band in Egypt (The Cairo Jazz Band) in 1968. He was also the leader of the Military Music Departments in Heliopolis and some of the best musicians in Egypt of that time were members of the band. Salah Ragab invited Sun Ra to Egypt in 1971 and in 1983 and 1984, and he accompanied Sun Ra on a tour in Egypt, Greece, France and Spain in 1984. He died in July 2008 in Cairo at age 72. In 2010, the Art Yard label released "Egyptian Jazz". And now, housed in a triangle- / pyramid shaped package, Jazzman Records is releasing a 2 x 7" set with unreleased material. Red Hot Chili Pepper's drummer Chad Smith has just released an live album with his Bombastic Meatbats project: "Live Meat And Potatoes". Recorded live at The Baked Potato. There's lots of news, and I'm running a bit behind schedule, but I really wanted to talk a bit about Christophe Godin's "Metal Kartoon" album. 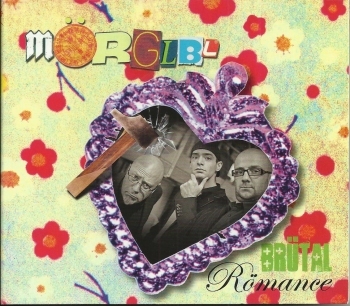 You might, or should, know that the new Mörglbl album is out / will be out very soon. It's called "Brutal Romance". To get ready for this new release, I started the day with "Metal Kartoon". 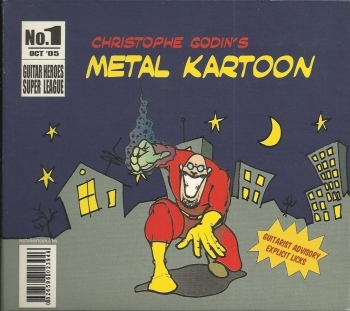 Released in 2005, "Metal Kartoon" was Christophe Godin's first solo album. As the title suggests, "Metal Kartoon" tells stories. Pretty funny stories. The music is a mix of metal, fusion and prog rock, but there's also quite a number of songs that could be classified as pop as well. The band sounds very good, and Christophe's guitar playing is as impressive as ever. I love the humour (even my sons caught the Simpsons-theme in the middle of 'Au Pays De Ghandi') and the guitar solos give me goosebumps. This is great !! Food for guitar freaks and for melomaniacs with a sense of humour. Producer and filmmaker Carl King has started this "kickstarter" to raise some funds to be able to finish this so far self funded movie/documentary : "Morgan Agren - A Drummer". Click this link below to see footage from Los Angeles May 2012, and to read about how the kickstarter works. Gryphon Labs will be performing in Hollywood tonight, 2012/06/10. Gryphon Labs is Pete Griffin's band. Pete used to play the bass in Zappa Plays Zappa. Fellow / former ZpZ members Jamie Kime and Joe Travers are also part of Gryphon Labs. Jamie Kime has left ZpZ in the meantime and is focusing his attention towards his first solo release (on which Mike Keneally collaborates). Joe Travers should need no introduction. He's the ZFT vaultmeister and has played the drums with Dweezil Zappa, Z, ZpZ, Mike Keneally and lots of others. Here's Greg Russo with an update on the "Paul Buff Presents..." Box. 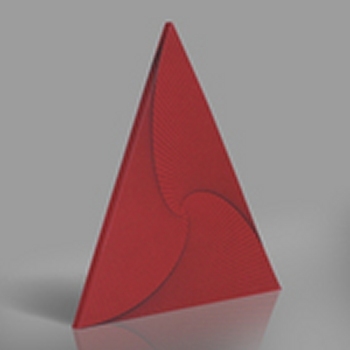 "The box is currently in production, although the manufacturing time will be a bit longer than expected. We're expecting to receive the finished product during the third week of June. As usual, I will personally process each and every order." Greg also mentioned that there are just a few sets of bonus Tornadoes CDs left! If you haven't ordered your copy yet, you'd better hurry. Zappanale Teaser 2012 from Don Medien. June 20, 2012, Canadian CKCU-FM radio will broadcast an interview with Mark Pinske as part of their Frank Zappa specials. Mark Pinske was Frank Zappa's recording engineer for the 1984 tour. The audacious, ground-breaking chamber music of American iconoclast FRANK ZAPPA. For the 2012-2013 season, Fireworks has the rare honor of being able to present the PREMIERE PERFORMANCES of works left unperformed at the time of the composer’s death, along with favorites such as Big Swifty, Drowning Witch, The Black Page, and King Kong. 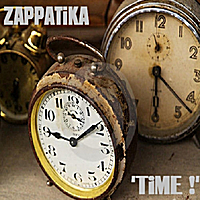 Zappatika's latest single, 'Time', is available from CDBaby and iTunes. 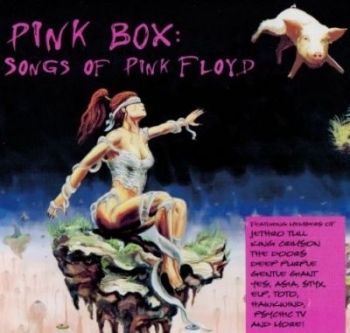 The "Pink Box" 2 CD set collects various artists performing the music of Pink Floyd. The box includes contributions by Dweezil Zappa, Adrian Belew, and Aynsley Dunbar. Mosae Zappa was a treat. The Ensemble Mosae opened on Friday. This one-off project consisted of Michel Delville (guitar), Laurent Delchambre (drums) & Guy Segers (bass). They performed some Zappa (& related) love songs, displaying a good sense of humour and some great musicianship. 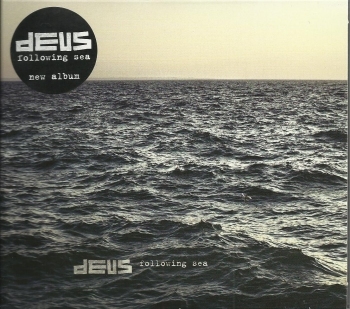 Out of the blue comes this new album by belgian band dEUS: "Following Sea". Available on iTunes, and released on CD on June 8. In 2009, the Zappa Family Trust filed a complaint against the Arf Society and Zappanale for the use of the term "Zappa". 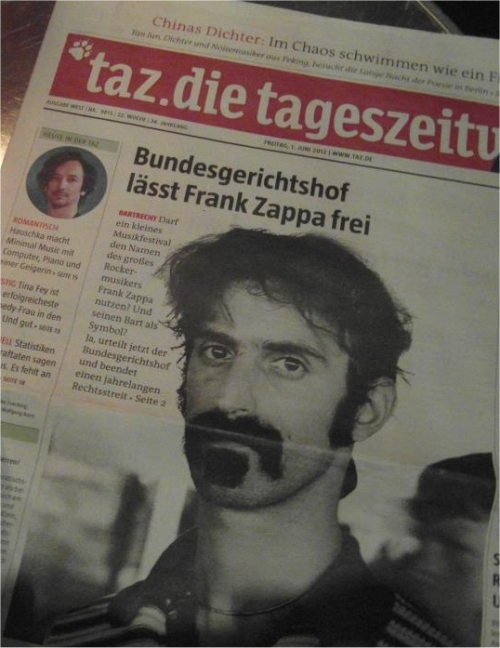 The German High Court rejected this complaint, stating that the trademark "Zappa" had been filed by the ZFT in Europe, but that it had lost its protection because it hadn't been used within five years after registration. Zappanale will continue to be Zappanale.